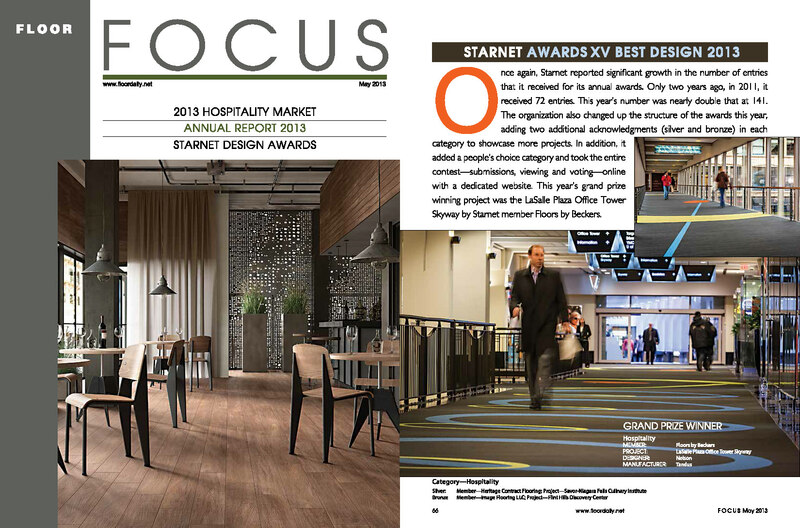 Starnet is providing you with a customizable, low-resolution and a high-resolution file of the 2013 Floor Focus Starnet Design Awards Article. You can customize either PDF by adding your company name and contact information to the last page of the article. To add your company’s contact information, you may open the document with Adobe Acrobat and simply edit the text on the last page. To download Adobe Acrobat for free, please click here. Download low-resolution file (4mb). Best for sharing via the web. Download high-resolution file (8mb). Best for printing.